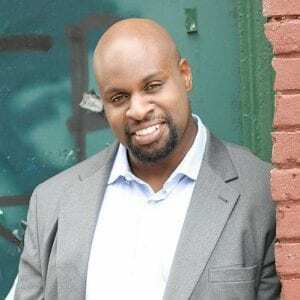 Sharp Radway is a pianist/composer/arranger/author who is a native of Hartford, Connecticut and currently resides in Brooklyn, New York. He remains in demand throughout the country and abroad. He is a formidable and seasoned band leader, heading various groups of his own. (ie. his quintet, quartet, trio, Music Of The Streets, Sharp Radway’s Gospel Jazz Group, Sharp Radway’s Big Band, and various vocal and instrumental duos.) Sharp has worked with several Jazz luminaries as well as forefathers of the genre. Among them are Yusef Lateef, Benny Golson, Red Holloway, Peewee Ellis, Hamiet Bluiett, Slide Hampton, Curtis Fuller, Benny Powell, Steve Turre, Fred Wesley, Frank Lacy, Kiane Zawadi, Bucky Pizzarelli, Diane Schuur, Joe Lee Wilson, Kevin Mahogany, Nnenna Freelon, James Spaulding, Louis Hayes, Greg Bandy, Ben Dixon, Winard Harper, Candido, Leopoldo Fleming, Russell Gunn, Ted Curson, Nicolas Payton, Eddie Henderson, and Randy Brecker and many more. He also serves as music director, pianist, and arranger for The Celebration of Lionel Hampton Big Band and The New York City Ska Orchestra. In addition to playing the piano he is also a prolific composer and arranger.